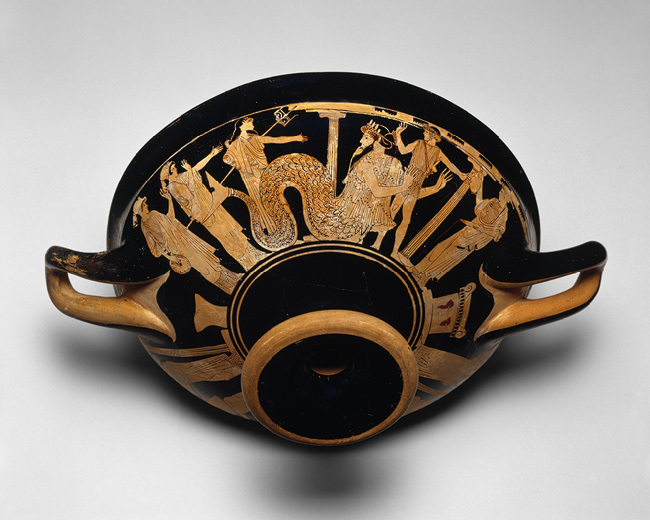 You would probably not expect to find art at the bottom of wine cups, but that’s where you can see some of the earliest round paintings in the West, which were a major type of painted decorations in Ancient Greece around the 6th and 5th centuries BC. 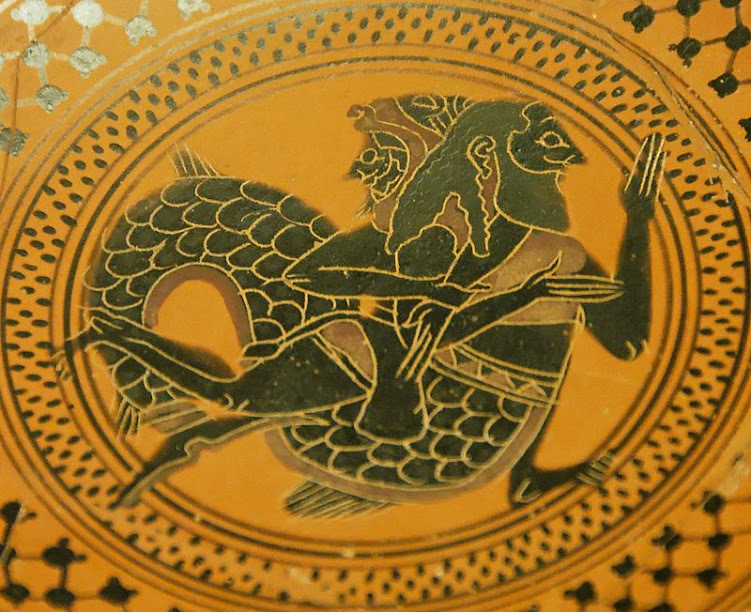 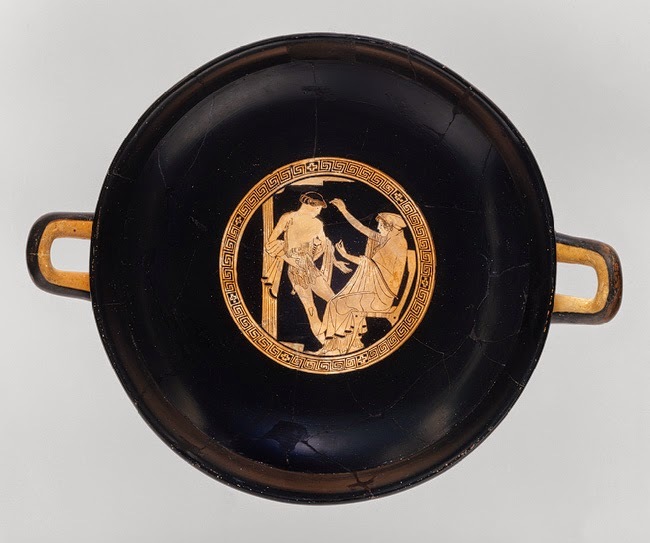 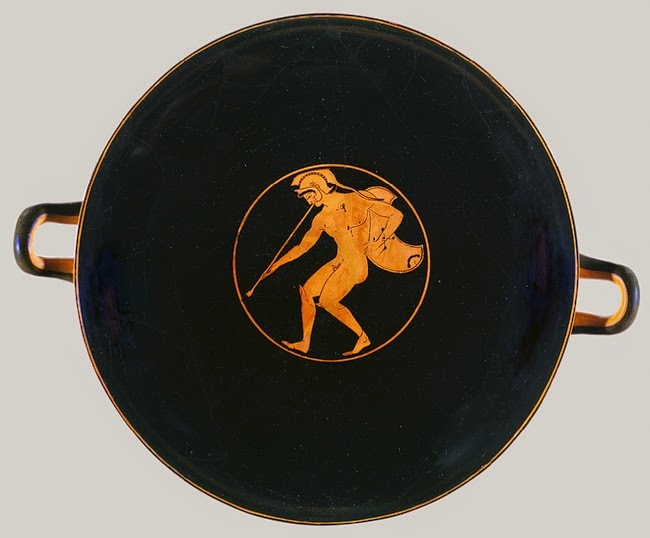 The kind of wine cup the Ancient Greeks used at drinking parties is known as a “kylix,” and it usually features a round painting at the bottom, as well as paintings on the outside, which are often about heroes and scenes from Greek mythology. 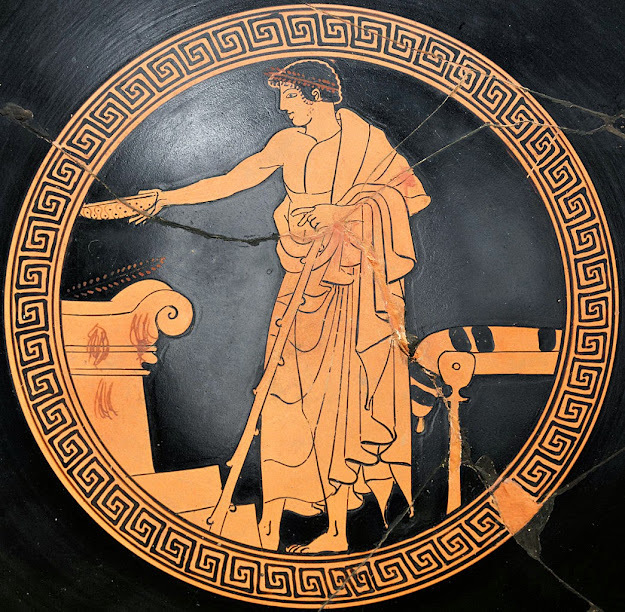 Other common topics include scenes from everyday life, especially music, drinking, and all kinds of celebrations. 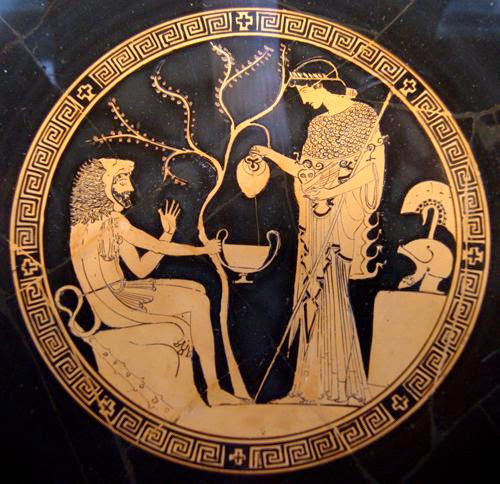 Because round paintings became very popular in the 15th century in Italy, the Italian word “tondo” was then used to refer to all round paintings as well round sculptures and reliefs, including those at the bottom of ancient wine cups used for drinking parties.